The average person has likely driven by a billboard hundreds of times in their lives, if not several times every day. But what they may not know is that these common advertisement spaces for local businesses may also be transmitting low power radio signals. 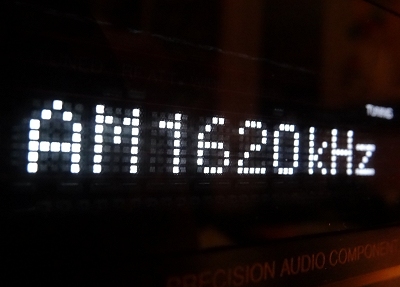 Larry Lanberg, a visitor to my site who lives in the Richmond, VA area, recently contacted me regarding an unidentified signal he was receiving on 1620 AM after he couldn’t find any stations on that frequency in our state (there are no commercially-licensed 1620 AMs in Virginia). The only match he found was my logging of 1620 WPMU747 Lorton, VA, a low-power traffic information station operated by the Virginia Department of Transportation. But something wasn’t right. Lanberg said that he heard “snippets of songs” and a pre-recorded message mentioning the Virginia Lottery on the station–something I know VDOT traffic signals do not air. Plus, the likelihood of the relatively weak 10 watt signal from WPMU747 reaching the Richmond area, at over 70 miles, was highly unlikely. The existence of other VDOT traffic signals on 1620 AM in the Richmond area which likely do not air music made this an even larger mystery. Vexine is thrilled to be a part of the “Virginia Lottery Billboard AM Radio” project! The billboard went live on I-95 on July 1st. The billboard is near Belvidere, on the left side as you go North. 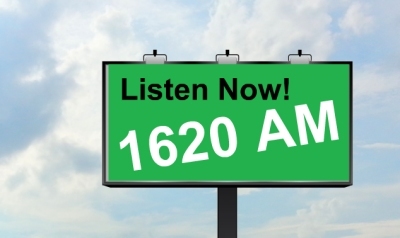 Tune into radio frequency 1620AM to hear Vexine, as well as some other outstanding Virginia artists including Marna Bales, Carbon Leaf, Adrian Duke and Andy Vaughan and The Driveline in a pre-recorded program! Thanks for choosing us, Virginia Lottery! Apparently, Lanberg was picking up an AM radio signal from the Interstate 95 billboard. 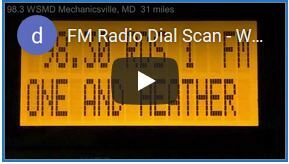 In my 14 years of DXing, I have never heard of a billboard being used to broadcast a radio signal and knowing that these exist is intriguing. It makes sense, given the height of billboards and the likelihood of a radio being nearby those who see them. Theradiosource.com offers FCC-approved Part 15 AM radio broadcasting equipment and says their customers require no FCC license to operate, providing they adhere to commission regulations forbidding objectionable content on-air. Music, information or commercials can be aired using their device. Another company offering similar equipment, DriveThruRadio.com, says their device, which costs $1700-$2700 installed depending on configuration, comes with an 8.5-foot antenna that can be affixed to billboards of varying heights, offering a theoretical range of 1 mile or more. The Virginia Lottery’s website has no mention of the 1620 AM frequency nor the related project. A Google search as of Aug. 5 brings up no further information other than the above Facebook post. 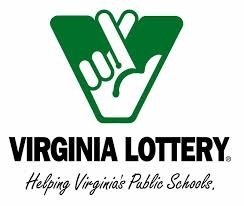 Given the hobbyist nature of this blog and since this isn’t a news operation, I have made no attempt to verify the authenticity of the information in the Facebook post with Virginia Lottery officials. 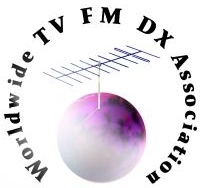 I typically only DX the FM and TV bands, but the fact that anyone can run their own AM station, cost-permitting, is an interesting concept. I tried to find more information on the FCC website and did find some conflicting requirements for Part 15 stations (mainly involving maximum allowed height and ERP). I would assume that these billboard transmitters are regulated the same as Part 15 portable FM transmitters which consumers frequently use with their MP3 players (i.e. the iTrip for iPods). Regardless, I’d still suggest potential new operators to confirm compliance with FCC officials before broadcasting an LPAM signal. As a DXer, however, I am concerned if many individuals sign-on with these LPAM devices, as it would limit the amount of empty AM signals to DX. However, the short range of these stations may make this a moot point. Since I predominantly DX FM stations, I am more familiar with LPFMs, and I dislike them (and related FM translators) simply because they ruin otherwise perfectly-empty frequencies for DXing. Thankfully, LPFMs and translators require licenses, however it seems the FCC is likely to accept applications (based on local observances) without care to preserving regional signals (and empty DX channels). I’m all for an open radio band when at all possible. But, I have nothing against the manufacturers or operators of LPAM equipment described in this article. I’m just against the principle of a deluge of signals popping up on the dial when they aren’t necessary in regard to DXing. With that said, I wonder what causes the LPAM station operator to choose their frequency. Would they choose their favorite empty frequency (assuming it has no interference from AM IBOC, skywave signals or regional stations) at random? 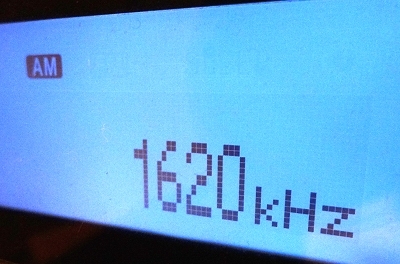 How many people are tuning into these stations when they see a billboard advertising such a signal? How effective are the signals broadcasted — is the information timely and interesting enough to keep people tuning in? How many people nowadays even know what AM radio is? Even with these concerns and technical questions I have about LPAM transmitters, the fact that a person picked up a DX signal from a billboard is probably the most unusual reception report I’ve ever heard, in a good way. Previous PostPerseids meteor shower FM signals starting to appearNext PostMeteor scatter 8/10/13. 1 new log.